We’re back with another instalment of the most exciting places in Hong Kong this summer! Be sure to check out some of the most interesting and fun places Hong Kong has to offer – enjoy a day out with the family in the summer sun! Pineapple Park – the perfect place to satisfy your pineapple cravings! Enjoy an interactive tour around the park and participate in multiple activities. Be an expert farmer for the day and visit the Pineapple Farm and have the chance to purchase unique pineapple-related souvenirs to remember your special visit. One of the more popular activities includes the Pineapple Delicacy section – try their fresh Queen Pineapples, pineapple pork chop rice, and even Lab Made Molecular Ice Cream! There are a multitude of things you and your loved ones can partake in during your visit to KFBG. Some of these include; exploring forests and themed gardens, vegetable terraces, and 8km of walking trails! There are also conservation and educational facilities available for your participation. Kadoorie Farm & Botanic Garden have launched their official Art in Nature Programmes, an effort to enhance one’s creativity and connection with their natural surroundings. This programme comprises 3 sections; Collaborative Art – Nature’s Weavers, Walk-in Art Activities, and The Art of Tree Rings. 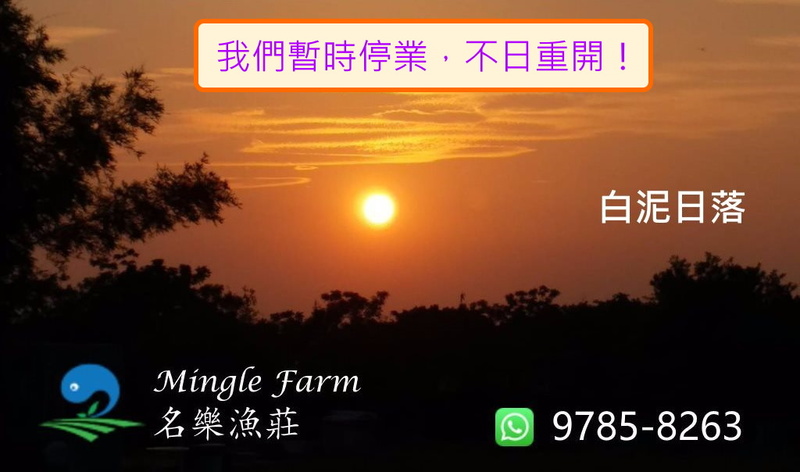 The mission of Mingle Farm is to promote eco-living and provide a space for unique family gatherings. There are a total of 5 camping zones, each representing a different stage of human life. These zones are known as; AEcoSphere, BOX, Caravan, Wild Camping, and Fantasy. In addition to these exciting instalments, there is an organic planting area, BBQ pit, and function area! Famous for its views, and what’s the best thing to do in such a situation? Take photos of course! Enjoy deliciously cooked food by the beach in the adjacent BBQ area with your family, and take some pictures for memories. Why not upload them on Instagram and try your luck at Internet fame? This is a truly precious place for whoever wants to escape the hustle and bustle of normal Hong Kong life for a peaceful afternoon. A hidden gem of Hong Kong, get away for the day and revel in stunning salt fields, visit Ching Po School, and the Italian Romanesque St. Joseph’s Chapel (which won an Award of Merit as part of the 2005 UNESCO Asia-Pacific Heritage Awards)! Simply take a ferry from Sai Kung Pier for $30 – $40 per person (on weekends), and arrive there in a swift 10 minutes! After your day of adventure, you can enjoy a traditional seafood meal in Sai Kung with the family. A science-oriented theme park located in Chong Hing Water Sports Centre, High Island Reservoir, equipped with stargazing facilities. The park occupies an area of about 1,200 square metres, boasting a total of 3 zones: an Educational Zone for day-time use, a Naked-eye Observation Area for casual users, and a Telescopic Observation Area for amateur astronomers. Still haven’t read part 1? Have a read and don’t miss out on more exciting places in the Pearl of the Orient! Thinking of eventually sending your child to boarding school in the UK? Check out our UK Boarding School Rankings article for a comprehensive list.